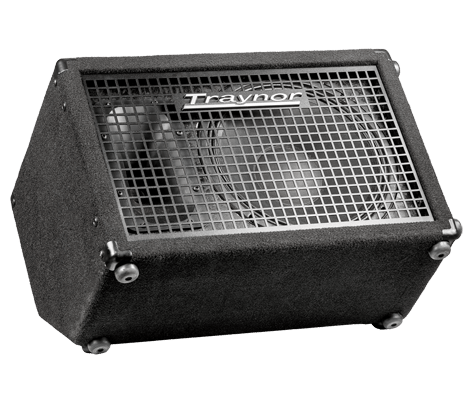 The Traynor Block10 keyboard combo amplifier delivers 200 Watts of clean power into a specially optimized 10-inch speaker/horn combination. Four input channels allow direct connection to stereo keyboards, laptops, electronic drums, sound modules and microphones, making it the most compact mixer/speaker solution in the Traynor line. A handy link function allows two Block10 amplifiers to be connected for stereo operation with double the input channels. Designed for maximum versatility, the Block10 is a compact combination box design that allows the cabinet to operate in an upright position for small PA applications, or in a wedge format for use as a monitor. A solid plywood cabinet construction, black carpet covering, and a curved, perforated all-metal grille ensure unmatched long-term reliability. Integrated standmount adaptor allows the Block12 to be used on a standard speaker stand for added versatility.